CoreChex, safety inspection software has partnered with PRINCIPLE to create and manage their digital advertising marketing strategy via Google Adwords. Based in Mid Ulster, CoreChex is a software development company specialising in the development of a remote safety inspection capture app. The app which is available to download from the Android and Apple Store is suitable for businesses who would like to become more efficient and accountable via implementing paperless reporting. Using Google Adwords CoreChex will increase brand awareness and authority within the search engines, while most importantly increase lead generation via their website. These leads will be recorded as a conversions via Google Analytics which will be created as part of the initial campaign set up. We’re looking forward to working in partnership with Emma and the CoreChex team to achieve their digital marketing objectives via Google Advertising Marketing. A reason to be cheerful, Google Optimize is now free for all account holders. When Google announced in March that Optimize was to become available to everyone, I have to admit I was excited as I wanted it yesterday, but guess what I didn’t want to pay for it. There is nothing I love more than spending time with my family and now that we have all flown the nest, we appreciate holiday time even more. This is especially true when it comes to Easter, which if I’m honest is my favourite time of year. 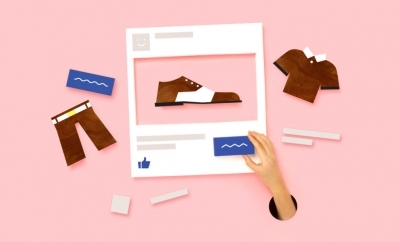 MailChimp, recently introduced Facebook Ad Campaigns. We all know that Facebook Ad Campaigns are a smart, powerful tool that can help you reach new audiences, grow your business, and make more money. However this is all well and good but if you know what you’re doing so today I’m going to share with you the tips, best practices, and strategies that you’ll need to help you get the most out of Facebook ad campaigns. Selecting the right audience is an important part of creating a successful Facebook ad, but before you get started, you’ll need to determine the goal of your campaign. Maybe you want to advertise an item to your best customers or re-engage customers who haven’t purchased in a while. Perhaps you’d like to reach people who aren’t familiar with your business just yet. Or, maybe you just want to target people who have a lot in common with your current customers to showcase items they’re sure to love. Each goal requires targeting a different audience, so let’s take a closer look at all of your options and when you’d use them. Targeting your existing MailChimp subscribers on Facebook will help you reconnect with customers—and potential customers—who are already engaged with your business. And, with MailChimps segmentation tools, you can use what you already know about your contacts to create ads that increase conversions and improve customer retention. If your goal is to turn more of your subscribers into customers, you could create a segment of list contacts who haven’t made a purchase and target them with an ad promoting free shipping on their first order. Or, if you want to retain and engage your existing customers, try targeting recent, repeat, or lapsed customers by segmenting based on their purchase history. You can even target customers who never subscribed to your mailing list at all. A special incentive might convince them to sign up, or win back people who have unsubscribed. Facebook collects a lot of data about its users, and this targeting option allows you to put all of that data to work for your business. This can be a great way to introduce yourself to new people, create awareness around your brand, and grow your list. You’ll have the ability to narrow down your target audience by location, gender, age range, or interest keywords. And you can use our segmentation tools, too. You could find folks who share similar characteristics with your best customers by creating a segment based on the total amount they’ve spent in your store. Or, target people who are similar to your most engaged subscribers by creating a segment of contacts with a member rating of 4 stars or higher. This targeting option, also powered by Facebook data, could be particularly helpful if you’re a new marketer or a small business that doesn’t have a list of contacts in MailChimp just yet. You can narrow down your audience by location, gender, age range, or interest keywords, and invite them to join your list, tell them about your products, or encourage them to visit your website. Then, as your audience—and your business—grows, you can use our other Facebook ad campaign tools to target segments of your new audience. Write with your audience in mind. Keep your content specific and relevant. An ad promoting a new product to existing customers would likely look quite different from an ad encouraging a new audience to join your list. Include a call to action. A call to action button provides guidance to your audience and helps drive both traffic and sales—especially for people scrolling through Facebook on their phone. In fact, our early data indicates that including a call to action improves an ad’s cost per click by 29 percent. Convey your message clearly. 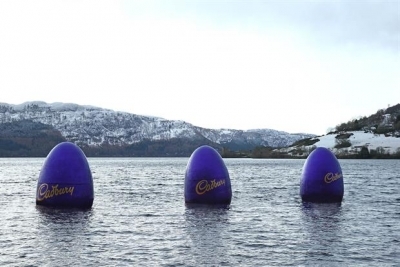 Keep your message brief and be sure that the intent of your ad is easily recognisable. Stay on brand. The messaging in your ad should align with your emails and other elements of your brand. Write in a voice and tone that’s consistent with your brand and familiar to your audience. Use images that reflect your message and brand. Your images should complement the copy in your ad and help people see the personal side of your business—the people, the environment, and the benefits of your products. Keep the context of the News Feed in mind. A highly stylized image that feels right at home in a glossy magazine might not fit as well among the slice-of-life posts and puppy photos in the News Feed. Use high-resolution images. A beautiful, high-quality image—taken from your phone, for example—will grab the attention of your audience as they scroll through their Facebook feeds. For single-image ads, images with dimensions close to 1200×628 will work best. If you’re creating carousel ads, use square images that are 1080×1080. Keep text to a minimum. Facebook ads that contain images with little-to-no text tend to cost less and perform better than ads that have text within the images. For more tips and best practices about Facebook Ad Campaigns in MailChimp why not get in touch and together we will make your email marketing strategy a success. So yesterday when I logged into my LinkedIn account from a desktop, I was presented with a completely different user interface and experience. 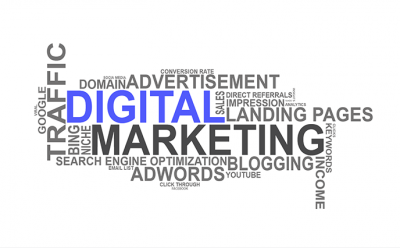 I recently found myself explaining to a business development consultant what was digital marketing. 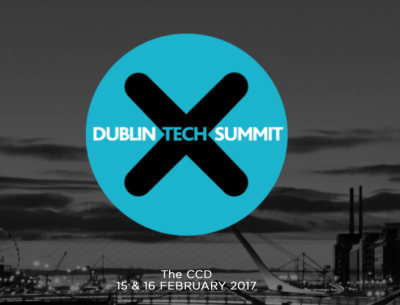 I recently had the pleasure of attending the Dublin Tech Summit which took place at the Convention Centre. This two day event which attracted more than ten thousand attendees celebrates Ireland’s software companies and attracted global speakers. Not knowing what to expect from the first ever Dublin Tech Summit I immediely assumed that the event would be similar to the Web Summit which I attended for the first time in Lisbon. But unfortunately while it was a fantastic event I personally felt that it was lacking atmosphere, image and a personality that actually spoke to the tech industry. I feel like this mainly because of the choice of venue, which was very corporate and formal. When the tech sector is very relaxed and where wearing a suit would be frowned upon. There was some similarities between the Tech and Web Summit and that was the choice of speakers with representives from Facebook, Google and not forgetting Gary Vee being in attendance. There was also a start up area where both local and global companies showcased their innovative products. Whilst I was in attendance in a work capacity I did have the opportunity to network and attend a number of keynote presentaions on the key areas of data, smart cities and AI I felt that a lot of the presentations would have been difficult to apply to the workplace. So as a digital marketer I personally feel that this event was of no benefit. For example a lot of talks appeared to always revert back to VR, AI and Robotics. But in the workplace environment I feel that it would be difficult to justify how these technologies could be applied especially for the use of consumer marketing. Yet I am happy to be proven wrong on this matter. If you atttended the Tech Summit let us know if you felt it was of benefit to your business and what learning you took from attending the conference. Online marketing trends change with every new delivery method and channel. Each year brings new technology, new opportunities, new social channels and enhancements to existing social media channels. The big winners in the battle for buyer attention might be early adopters throwing resources into promising new technology that proves successful, or businesses who stick with a particular channel to build a huge following. Video marketing is nothing new, but the market is changing particularity within the world of social media which enabling businesses to embrace video as a marketing tool. 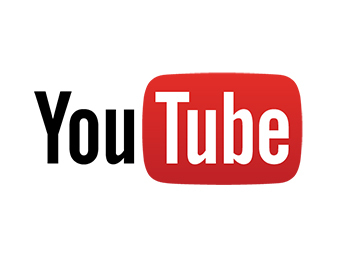 YouTube already dominates video, with a billion users watching hundreds of millions of hours every day. To sweeten the marketing appeal, YouTube reaches more 18-49 year-old viewers than any of the cable networks. While YouTube traffic expanded more than 40 percent since last year, video publishing and sharing options has opened up thanks to the world of social media. 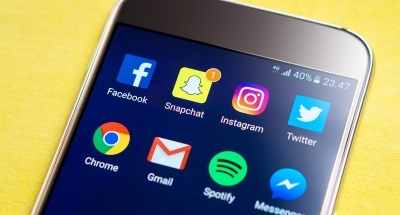 Social media has without doubt changed how we the customer consume information and businesses create create and share videos with their audience. For example within Facebook businesses can not embedded and live livestream videos. We also seen a rise in the use of Periscope and Facebook are starting to attract the bravest of no-do-over video pioneers marketing in real time. However the largest most significant growth in 2016 which will continue in 2017 will be seen within Instagram and snapchat. Instagram not only enables businesses to share pictures to support a lifestyle but businesses can now use Instagram live, stories and video to share creative content and engage with their audience. This is an exciting opportunity for businesses and one businesses are slowly starting to embrace. Another clear indicator of just how popular video marketing has become is the inevitable launch of in-SERP video ads. Google and Bing are both testing video incorporation into rich search results. The new True View for Shopping, a product that allows users to order products from inside a demo video, has already yielded impressive results. Sephora and Wayfair test cases report increased viewing time, revenue and ad recall. With big retailers and eager viewers already on board and social media and SERPs ramping up viewer opportunities, video marketing is set to explode like never before. Content marketing and social media changed the marketing game in a major way. Brand storytelling took center stage, propelled by the advantages of humanizing and allowing businesses to connect in a more meaningful way with their customer base. Thousands of small YouTube businesses have built audience and credibility with simple, straightforward advertising, and case studies show that video has a big impact on sales, especially for small businesses and cottage industry. More than half of marketers responding to the 2014 Video Statistics study by Invodo said that video offers a higher ROI than any other type of content. Every aspect of marketing in the last few years has moved toward personalisation, targeting and interactive content. New video technology takes the concept to a new level, with engaging videos that move from viewing into response. Data collection forms, surveys, polls and choose-your-adventure videos will become more common. Approximately 96 percent of B2B advertisers are already using videos, but smaller B2C businesses may have been slower to adopt due to production costs or simple reluctance to waste marketing dollars on a technology they may not feel is effective. Now that you know which way the 2017 marketing winds are blowing, are you ready to jump on board with video marketing?